Rivers Sullivan bears both visible and invisible scars—those on her shoulder from a bullet wound and those on her heart from the loss of her fiancé during the same brutal attack. Not even her background as an art therapist can help her regain her faith in humanity. Still, she scrapes together the courage to travel to St. Simons Island to see the beach cottage and art gallery she's inherited from her fiancé. When she stumbles upon recovering addicts running her gallery, she's forced to reckon with her own healing. After the tragic drowning of his cousin, James Cooper Knight spends his days trying to make up for his past mistakes. He not only dedicates his life to addiction counseling, but guilt drives him to the water, searching for others who've been caught unaware of the quickly rising tides of St. Simons. 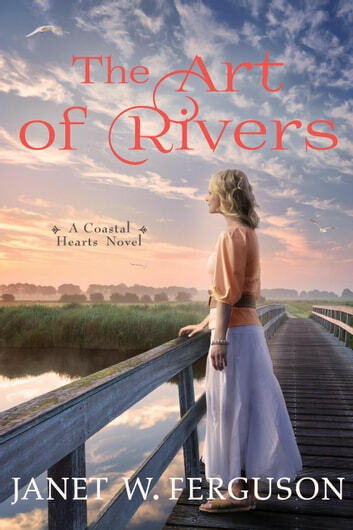 When he rescues a peculiar blond woman and her sketch pad from a sandbar, then delivers this same woman to his deceased grandmother's properties, he knows things are about to get even more complicated. Tragic circumstances draw Cooper and Rivers closer, but they fight their growing feelings. Though Cooper's been sober for years, Rivers can't imagine trusting her heart to someone in recovery, and he knows a relationship with her will only rip his family further apart. Distrust and guilt are only the first roadblocks they must overcome if they take a chance on love.